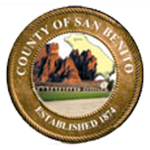 (1) The person has served in a senior financial management position in a county, city, or other public agency dealing with similar financial responsibilities for a continuous period of not less than three years, including, but not limited to, treasurer, tax collector, auditor, auditor-controller, or the chief deputy or an assistant in those offices. (2) The person possesses a valid baccalaureate, masters, or doctoral degree from an accredited college or university in any of the following major fields of study: business administration, public administration, economics, finance, accounting, or a related field, with a minimum of 16 college semester units, or their equivalent, in accounting, auditing, or finance. (3) The person possesses a valid certificate issued by the California Board of Accountancy pursuant to Chapter 1 (commencing with Section 5000) of Division 3 of the Business and Professions Code, showing that person to be, and a permit authorizing that person to practice as, a certified public accountant. (4) The person possesses a valid charter issued by the Institute of Chartered Financial Analysts showing the person to be designated a Chartered Financial Analyst, with a minimum of 16 college semester units, or their equivalent, in accounting, auditing, or finance. (5) The person possesses a valid certificate issued by the Treasury Management Association showing the person to be designated a Certified Cash Manager, with a minimum of 16 college semester units, or their equivalent, in accounting, auditing, or finance. (b) This section shall only apply to any person duly elected or appointed as a county treasurer, county tax collector, or county treasurer/tax collector on or after January 1, 1998. Notwithstanding any other requirement of law, any duly appointed county officer serving in the capacity of county treasurer, county tax collector, or county treasurer-tax collector shall, beginning in 2000, complete a valid continuing course of study as prescribed in this section, and shall, on or before June 30 of each two-year period, render to the Controller, a certification indicating that the county officer has successfully completed a continuing education program consisting of, at a minimum, 24 hours or an equivalent amount of continuing education units within the discipline of treasury management, tax collection, public finance, public administration, governmental accounting, or directly related subjects, offered by a recognized state or national association, institute, or accredited college or university, or the California Debt and Investment Advisory Commission, that provides the requisite educational programs prescribed in this section. The willful or negligent failure of any county officer serving in the capacity of county treasurer, county tax collector, or county treasurer-tax collector to comply with the requirements of this section shall be deemed a violation of this section. 27000.9.